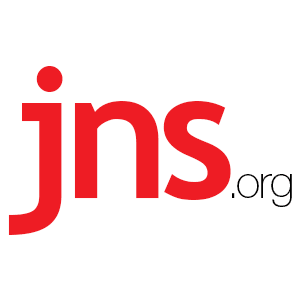 Israel Braces for its Latest Battlefront: The Sea - Breaking Israel News | Latest News. Biblical Perspective. Amid a quiet-yet-massive arms race between Israel and Hezbollah, both sides are preparing for the possibility of a war branching out to sea. The new reality for Israel’s navy is that Hezbollah and Hamas are more than terrorist organizations—they represent new kinds of armies, and in Hezbollah’s case, an army with advanced state-level weaponry. In Lebanon, Hezbollah’s enormous arsenal of ballistic projectiles and missiles continues to grow. The Iranian-backed Shi’a terror group also has a growing number of rockets with GPS guidance kits, and a stockpile of surface-to-sea cruise missiles for taking aim at sensitive targets. Such targets could include Israeli ports, navy bases, civilian and military sea vessels, and offshore gas rigs. In Gaza, Hamas is manufacturing unguided ballistic rockets it can use to attack ships, gas rigs and the Ashdod port, though Hamas appears to lack Hezbollah’s cruise missiles and guided rockets. The IDF has developed ways to attack these threatening projectile launchers in the event of a military escalation, and the Israeli Navy plays a key role in these plans. Dealing with this threat involves not just defending Israel, but going on the offensive, Marum argued. During a war, he said, Israel would need to destroy rockets and missiles “before they are fired. It does not matter who takes them out—the ground forces, the air force or the navy.” If a Hezbollah missile “hits Haifa port, everyone will be affected,” said Marum. Even more important than offense, he said, is deterrence—making it crystal clear to Hezbollah what the price would be for firing any of these projectiles in Israel’s direction. This deterrence, based on Israel’s firepower, “is much more important” than defense, Marum said. “The solution is to prevent the war in the first place. Deterrence means Hezbollah is scared to start firing,” he said. Taking advantage of the current quiet, the Israeli Navy has been developing new technologies with defense companies to improve its ability to intercept rockets and missiles. The navy has been tasked with protecting offshore gas rigs from such attacks, and must also know how to defend its own vessels from the growing list of threats. In the coming years, the navy will receive four of its largest German-produced warships to date, specifically for the mission of defending the gas rigs. These ships will be fitted with the Barak 8 air defense system, produced by Israel Aerospace Industries, which come with advanced radar and interceptor missiles designed to detect, track and shoot down threats before they plow into their targets. In February, Nasrallah said that should a war break out, his forces would target ships carrying ammonia to Israel. Experts believe such an attack has the potential to kill hundreds of thousands of people. Hezbollah smuggles in arms from Iran and Syria, including—according to intelligence assessments—the supersonic Yakhont surface-to-sea cruise missile, one of the most advanced missiles of its kind. Marum described the Yakhont missile as “being very advanced because of its speed,” but added the Israeli Navy has “a reply” for it. Hamas, too, is making preparations for war at sea. Its plans include the use of swarms of small explosive-laden boats to attack Israeli Navy vessels, a doctrine it learned from Iran. In April, Israel thwarted the smuggling of approximately 30 professional wetsuits suspected of being bound for Gaza-based terrorists, including Hamas’s naval commando unit. In July 2014, the IDF killed five Hamas terrorists—members of the commando cell—who were attempting to infiltrate Israel from the sea. The Israeli Navy is training to combat such threats by dropping depth charges into the sea. 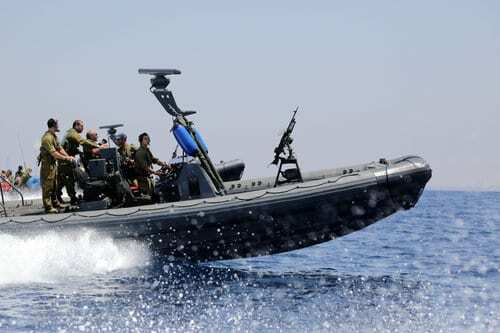 During relatively routine times such as the present, Israeli Navy squadrons of fast patrol boats, together with larger missile ships, patrol the coastlines and continuously gather intelligence on the Lebanese and Gazan sectors. This intelligence flows into the IDF’s network, which links the navy, ground forces and air force. In times of large-scale conflict, this network forms the basis for coordinated sea, land and air operations against the projectile threats. This type of combat, known as network-centered warfare, would enable Israeli ships to receive targets from the air force, or from IDF land units, and act on the information to attack targets. Alternatively, the navy could act as an intelligence provider, and transmit target coordinates directly to a tank or fighter jet. 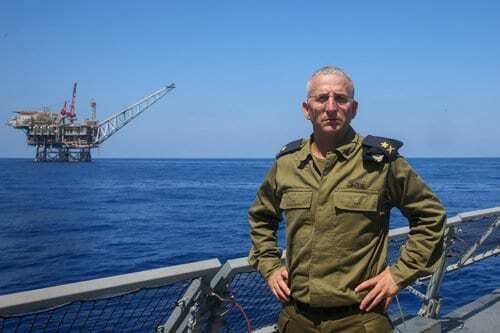 A senior Israeli naval officer, who cannot be named, said that when it comes to assessing Hezbollah and Hamas, the old tag of mere “terror organizations” is insufficient.